Only Crumbs Remain - Bilberry and White Chocolate Baked Cheesecake - I fell in love with the sound of this cheesecake as soon as I saw the pictures and read the recipe. I love the flavour combination of the berries with the white chocolate. We do not have bilberries growing in out garden but we do have other berries which I imagine will be just as delicious! Le Coin De Mel - Healthy Raspberry Ice Cream - I love how easy this ice cream is to make. But what I love the most is the added, hidden extra goodness! This is no ordinary raspberry ice cream, it also contains beetroot and red chilli. All three of these ingredients are growing in our garden. So next year when we get a glut of a harvest this ice cream will definitely be made! I'd Much Rather Bake Than... - Apple Cider Pecan Cake - What is there not to love about this cake? We do have some apple trees in the garden but they are still small and we have only had three apples this year. But my parents have many well established apple trees and they often send bags of apples down for me to use. I can imagine enjoying a slice of this cake with a dollop of cream! Sneaky Veg - Sweet Potato Cheesecake with Caramelised Pecan Nuts - I love how Mandy has used sweet potatoes in a completely different way. My eldest does not like sweet potato in savoury meals, but I am curious as to whether he will like them in a sweet treat! This will be a great cheesecake to try him with! 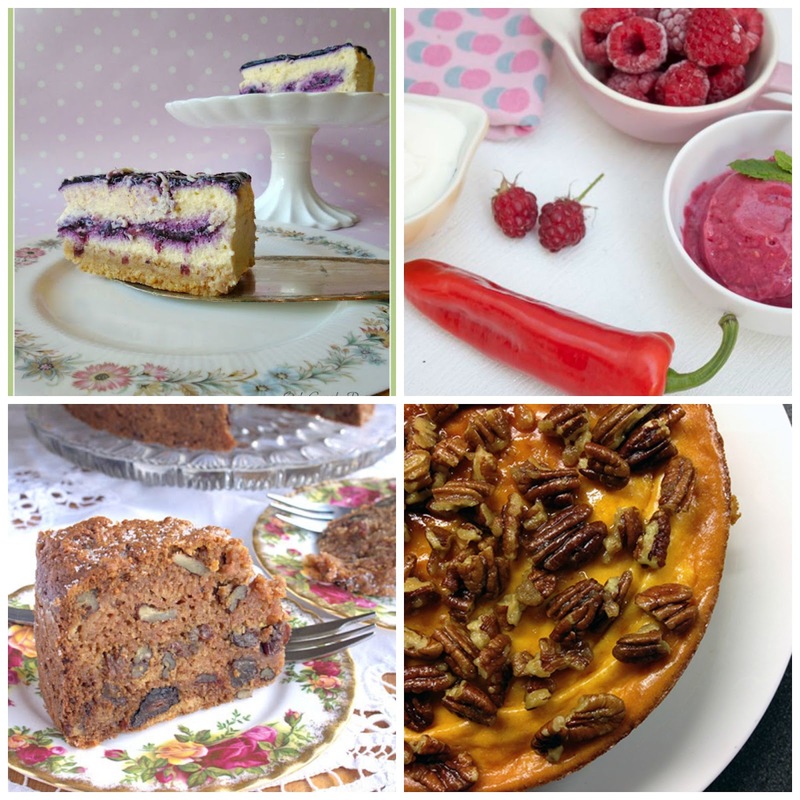 What were your favourite recipes from Cook Blog Share Week 7? Thank you to everyone for linking up. I hope you see you all back again tomorrow and I cannot wait to see what recipes you will be sharing this week! Aw thank you for including my Cheesecake in your round-up Kirsty, and yes other berries would be great.....I guess blackberries (which we can forage now) would give the same sort of colour impact as the bilberries.